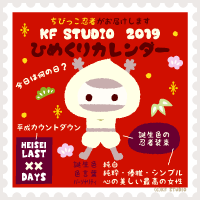 Sorry; i dont seak much japanese.. i was trying to download these three kf himaji fonts (Fude,Kids, and Face) but the zip folder only seems to have kf himaji regular. Can you please help? also i am using a Macbook OsX Lion. 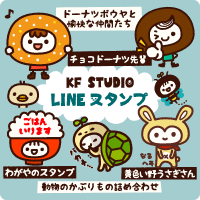 Sorry.Now these three kf himaji fonts (Fude,Kids, and Face) cannot download. KF himaji fonts are not for sale. And..Notice is written in Japanese. If you can not understand Japanese, you can not use this. Okay; i see..i am learning at the moment; a few of my friends are as well..i wanted to make hiragana/katakana charts and things that are visually appealing to help them learn as well. Copyright ©KF STUDIO,All rights reserved.